This level is again hard as you need to take down 8 ingredients plus that board have 9 meringue blocks that you need to break and 9 timer bomb that you need to break first. 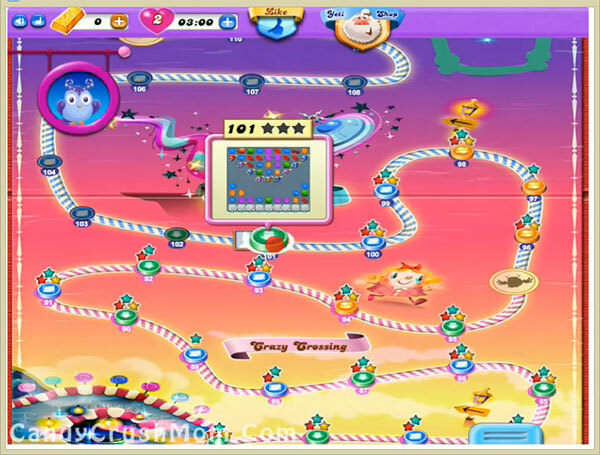 As you will break timer bomb within 9 moves then try to play from bottom and make special candies. Break special candies with other special candy and if you cant balance the Owl then break it with normal candy to take down some ingredients fast. We completed this level with 228560 score by using three colorbomb and out of one we combine with striped candy that help to end level with three star score.